I slept in this morning, a wonderful lie about that's allowed me to really enjoy the cool, sunny morning here in Ocala. The trees were not long ago brown and grey scratches on a sky that was becoming increasingly blue. Now the breeze has trouble making the boughs, heavy with leaves, sway in the breeze. The delicate blossoms are falling gently from the fig tree, and even the birds seem languid as they call this morning. I couldn't have been more relaxed when I opened my e-mail box, but now my heart has sped and I'm truly excited: I've seen Warren Hill School! Sometime between 1926 and 1933, George Mills taught in Eastbourne, and along the way, the members of the Eastbourne Local History Society have gone out of their way to help me understand the world he lived in at the time, from the location of the school, to the school's history and staff, right down to the local where Mills likely would have had his pint after a long day in front of the desks.Still, the images I'd seen of the area were from today. Warren Hill as it stood in the time of G. Mills, full of laughing [well sometimes laughing] boys at work and at play, lived only in my imagination. Today, however, we have our first glimpse of what Mills saw [click images to enlarge]. 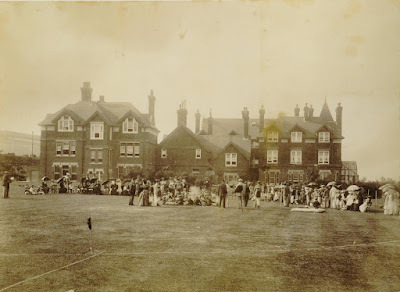 Another Michael of Eastbourne Local History has turned up these two photographs of Warren Hill School. The first is probably from a postcard and shows the view looking up what is now Beachy Head Road with the school on the left. It's hard to date precisely but one can suppose that it is pre 1900. The masters' residence must be the house on the right. The girls walking down the hill are almost level with a group of flint cottages which still stand. One of these was rented during various summers by Arthur Conan Doyle. 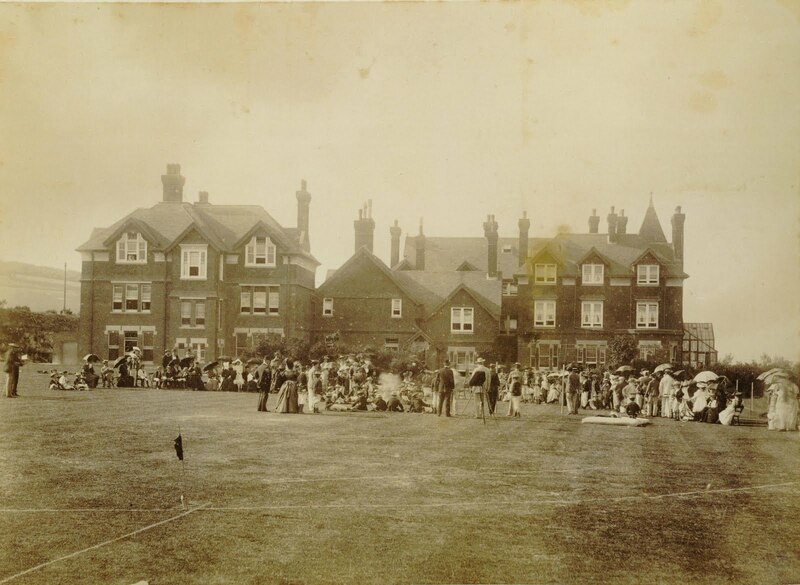 The second is a private photograph showing a cricket match on the playing field behind the main building. (See the plan of the school.) The picture clearly shows the spaciousness of the school grounds. The low structure to the left is probably the house which still stands on the site (50 45 22 95 N and 0 15 52 90 E) - the last vestige of Warren Hill School [see image, far below, left]. Brilliant! Thank you, Michael, and the other Michael! It's interesting to see students engaged in one of the sports that Mills obvously loved so much, and that are also an integral part of his novels. And, now that I've discovered how to enter latitude and longitude into Google Earth correctly—What a difference adding a decimal point makes!—we can see that "last vestige" of Warren Hill from above, and not just an anonymous field in France! It's interesting to think that Mills, besides being from a family that frequented the publishing houses of London, had the opportunity to meet novelist Kitty Barne, wife of Eric Streatfeild who likley taught music at Warren Hill, and their cousin Noel Streatfeild, not to mention the possibility of having an acquaintance with Arthur Conan Doyle, who published 10 books between 1924 and 1930, including The Case-Book of Sherlock Holmes in 1927. And all of this was likely happening at, around, or near Warren Hill School, pictured again at right. Eric and Kitty married in June, 1912. Kitty had studied music at the Royal College of Music, and was listed as living in Eastbourne in the 1911 census. 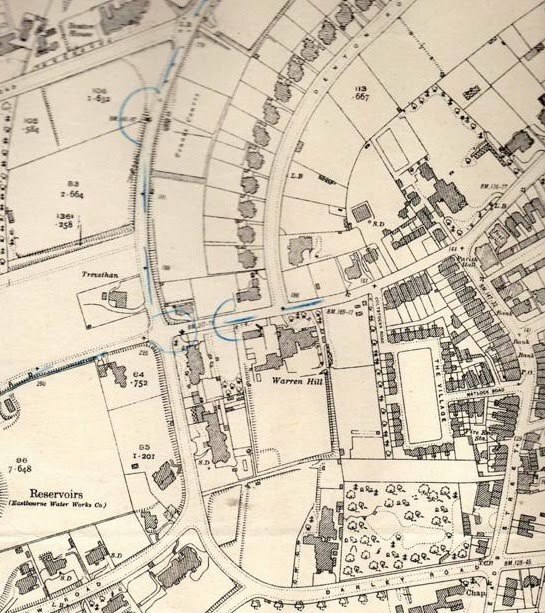 Eric isn't to be found on that census [Correction: We now know Streatfeild was, indeed, listed in the 1911 census—his surname had been misspelled]. There is a household of the Revd. William C. Streatfeild in Eastbourne listed at the time. The reverend is Eric's father. Information from the 1901 census has Eric L. Streatfeild born in Nutfield, Surrey in 1872, but living in Eastbourne and working as a "schoolmaster's assistant," presumably at Warren Hill. That would make Streatfeild 40 years of age at the time of his marriage to Miss Barne. 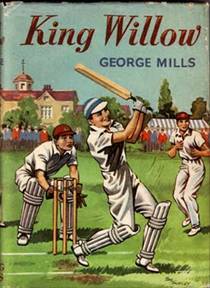 If he were to have known George Mills in, say, 1926, he'd have been approximately 54 years old. Mr. Streatfeild passed away in Sussex in 1954. Now, we already know George Mills was clearly interested in the performing arts, as indicated from his time spent at Windlesham House in Brighton just before. He had even written songs, so his involvement with the Streatfeilds is even more likely. At that time, Streatfeild's wife, Kitty was on the verge of becoming a children's book author herself when she must have become acquainted with Mills. However, she had already put herself on the proverbial map: In 1925, she published The Music of Amber Gate: A Pageant Play [J. Curwen & Sons; London, 1925] with a pianoforte score, after having previously published Winds ... A play written by Kitty Barne & D. W. Wheeler. Composed by Kitty Barne. Illustrations by Lucy Barne. (Staff and tonic sol-fa notation.) [J. Curwen & Sons: London, 1912], Timothy's Garden: A Children's Play [J. Curwen & Sons: London, 1912] with a vocal score, and To-morrow. A play written by Kitty Barne and D.W. Wheeler. Composed by Kitty Barne. Illustrated by Lucy Barne, all in the year she was wed [Note: All of those titles appear just as they are catalogued in the British Library]. The last published work that I can find credited to her would be Introducing Mozart in 1957. Wikipedia has her dying on 3 February 1961, "after a long illness. "It's presumable that George Mills had also made the acquaintance of Eric and Kitty's cousin, the renowned Noel Streatfeild [pictured, right], who was born in Sussex, trained as a performer at the Academy of Dramatic Art, and learned to write through a correspondence course after spending volunteer time authoring plays to entertain wounded soldiers during the First World War. 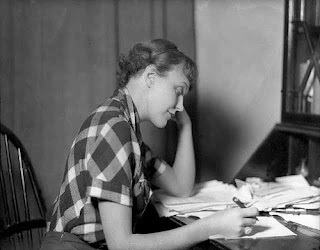 Noel later published novels for adults, the earliest I can find being in 1931 [The Whitcarts], but before that she had also written children's plays and had a story published thatb had been printed in a children's magazine. Perhaps she was involved in learning to write professionally while George Mills, himself from a family of then-currently popular authors [Arthur Hobart and Lady Dorothy Mills], was in Eastbourne. Streatfeild, born on 24 December 1895, would have been just a year younger than George when he found himself in Eastbourne where Noel was presumably writing those children's plays. 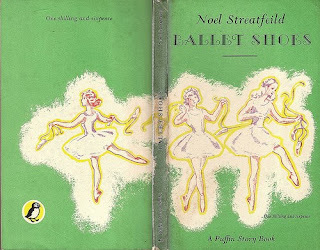 She published a collection of them, The Children’s Matinée, in 1934, just a year after Mills had published his successful children's book, Meredith and Co. Streatfeild was soon convinced to write her first children's book, Ballet Shoes, by J.M. Dent & Sons, London, in 1936. Many feel it is still her most enduring work. Contemporary Americans best know Noel Streatfeild as the author of the books higly and very personally recommended by the character played by Meg Ryan in the film You've Got Mail. After coming from a family of authors of both fiction and non-fiction in many genres, and finding himself at Warren Hill in the midst of the Streatfeilds and Kitty Barne, not to mention the possibility of Arthur Conan Doyle, Mills must have been inspired beyond anything we can imagine. Suddenly, a man who'd left relatively little mark on the world is poised to write unprecedentedly realistic books about the British preparatory schoolboys he found himself among at the time. Imagine the conversations about books, music, drama, and the effect of those on youth that must have filled the air around Meads! Artistically, Warren Hill must have been the place where the seed of his books was first planted and nurtured. One can see that in the back cover art of the 1950 Oxford University Press edition Meredith and Co. The façade of the master's residence of fictional Leadham House School is depicted with a single, u nadorned gable [right, click to enlarge], extremely similar to the building to the right in the first image of the school above. Windlesham has no gables at all, and The Craig has gables that resemble Dutch "crow stepping". This illustration, which substitutes a school bell for chimneys atop the building, much more resembles Warren Hill than either of the other two! How much of an influence did the Streatfeild family, either en masse or individually, have on George? How much influence did George have on them, as well as on the school and Meads? Did Doyle, who rented a flint cottage at Warren Hill in the summers figure into this community in any way, despite his international renown, or was he simply reclusive? Even if Doyle's presence was not simultaneous with George's, how could the author of Holmes, Watson, Moriarty, and much else not have left some sort of a "legacy" around the campus? How much influence did the community of Eastbourne have on them all, and vice versa? That is all, at this point, open to conjecture. In Warren Hill and the community of Eastbourne, though, he seemingly had found a place where he felt more free to express himself tha he might have before, and lived and worked among friends and colleagues with whom I suspect he might have felt he truly belonged. To me, it would be simply stunning if a gregarious, creative, arts-oriented chap like Mills had managed to avoid the influence of the Warren Hill of that era, despite Eastbournbe's overall reputation for staid respectability. A final note, according to wikipedia.com: Sir Arthur Conan Doyle was found dead, clutching his chest on 7 July, 1930, in the fall of "Windlesham," his home in Crowborough, Sussex. Windlesham...? Did the onset of the Great Depression hasten George's departure from Warren Hill? If so, what a shame! Anyone with any information about how Mills may have thrived, and why he eventually left, the apparently fertile soil of Meads [left, as seen from above today], please don't hesitate to let me know! '"But in England, Men Admire Thin Women..."